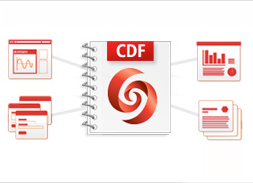 This course introduces the Computable Document Format—highlighting its easy-to-author interactivity and convenient deployment options—and explores the creation of a complex infographic with CDF. The course is ideal for authors of books, courseware, academic papers and professional reports who want to infuse life into their work with interactive content. The course is for anyone who would like to become proficient using CDF regardless of their level of previous experience. Building the advanced CDF infographic "Understanding Earthquakes"